This is a huge deal for Nike, as they have landed the projected first and second overall picks in Thursday’s NFL Draft. Nike also released a three-and-a-half minute video of Mariota preparing for the draft with famous Nike trainer Ryan Flaherty and what this opportunity means to him and his family. 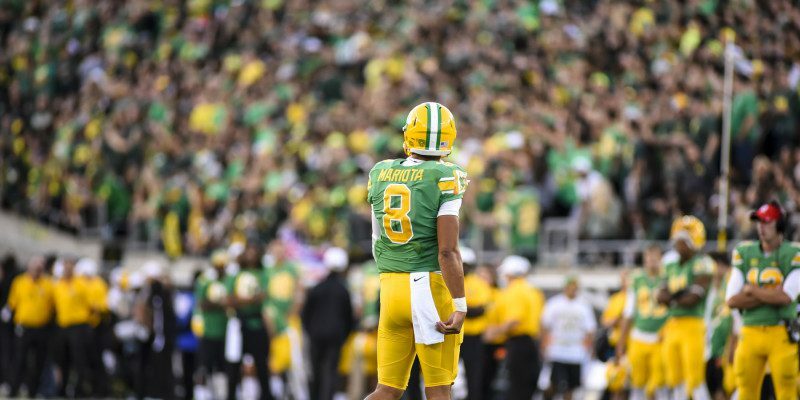 Let’s all hope, as Nike and Duck fans, that this will be the first of many ads featuring Marcus with revolutionizing Nike products for years to come.